Due to the increased percentage of unemployment in Europe; Germany and other countries included in the European Union are limiting the job opportunities to the European Union only. As per new immigration laws in Germany, citizens belonging to non-European countries can only be permitted to work in Germany if they first obtain a Residential permit. 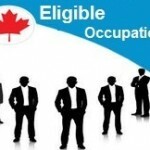 Private companies and employment agencies create a demand for skilled workers or experts in specific fields and then take approval from the central placement office and have work permits issued. As a Pakistani you will have to get a work permit in order to apply for a work visa. i need visa . having electrical work 11 years exp. Im doing Diploma of associates engineering in Civil Construction technology. Need working visa. Is there any possibility to have that? 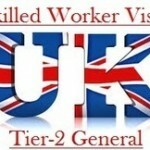 Dear Sir I want work permit job visa. I have 16 years experience in Knitted Garments Fabric. I have vast experience about fabric knitting and dyeing quality. Please Give me opportunity to prove my skills. I need a work permit related Tourism & Hotel Managment. I will kindly request to u plz info me at this Contects. I have skill fiber optic networking &UTP&Civil work. thatwhy give me the german vie i need it? I’m working in German multinational express company and I have 16 years experience in warehouse management and custom clearance. I need a work permit for germany. I had a experience in a hospital as a Billing medical Officer for private patient and as well as company patients. Also look in a hospital admin dept.